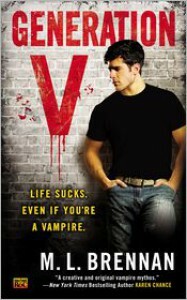 (Originally posted at Book Lovers Inc)When I first found out about this book and read its blurb, I was intrigued–a new UF centered around a seemingly unremarkable guy who happens to straddle an uneasy line between the human and vampire world. When I discovered the author’s writing influences (from Isaac Asimov and Emma Bull to Patricia Briggs and Jim Butcher), I knew I had to check out this book–all signs pointed to some legit UF. Turned out to be a good choice, too–Generation V is indeed a solid addition to the genre.We begin with the relative ordinariness of the protagonist, which first drew my interest and yet still caught me a bit off guard. Fortitude Scott (yep, that’s his name, don’t wear it out) is not an everyday superhero. In fact, far from it. He’s a guy that’s graduated from college in “one of those artsy majors,” who is still trying to find himself and hasn’t made much progress. It’s very quickly established that he’s the type of person that lets others (mostly human) steamroll right over him. He seems to find himself *completely* surrounded by those who mercilessly and shamelessly take advantage of him, with his full knowledge and complicity. Yep, Fort Scott is quite the beta male (or gamma male? what are they calling it these days? ), so a reader’s tolerance for doormat behavior must be considerable to make it through (though in the end, rewarded).Vampires are certainly nothing new to urban fantasy, but Generation V breathes some new life into its mythology and most commonly-seen tropes. More biologically-detailed than most setups, the stages of vampirism are exhibited in Fort’s very interestingly named family members (brother Chivalry, sister Prudence, and mother Madeline).Time leeches away at our more human traits. At his age, Chivalry will avoid the afternoon sun, and he spends a lot of time complaining about how hats have gone out of style. My sister, Prudence, was a little girl when the British blockaded American ports during the revolution. She sticks to the shade as much as possible, and carries both an old fashioned parasol and a ready set of excuses about a family history of skin cancer.Our mother lives behind blackout curtains and can’t go outside until hours after the sun sets.Fort is the still-human example, whose physical weaknesses and vulnerabilities are laced with a bloodlust that creeps in periodically, a precursor to eventual full vampirism. And his fears about this are understandable…. His family comes across as a sort of vampiric version of the Bluths from Arrested Development (with Fort more like George-Michael, of course): all kinds of self-serving and messed up, yet entertaining and addictive in a twisted way.I’d definitely say this story builds slowly. It moves at a steady cantering pace, which for me took a little while to really get into, even with the fascinating universe building that began early on. There’s a fair share of action, mind you. It’s just that much of the story’s development involves Fort’s growth as an individual. It’s subtle, and cleverly woven into the fabric of a central “whodunit” sort of plot line. But every event, every new character, seems to be a something of a mirror reflecting, at once, what Fort’s afraid of being and what he’s striving to become. 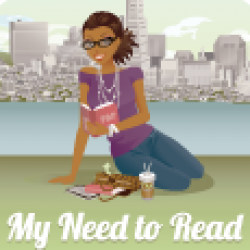 It can bring the reader closer to the protagonist–and all told everything seems to have its purpose in the story–but it does also require patience.Other than the family there’s a handful of supporting characters that flit in and out, but none are so amusing as Suzume Hollis. She’s clearly the sass factor, bringing the zinger one-liners and outrageous antics. Other than Fort, she’s perhaps the most dynamic character, and I found myself wanting to find out more of her backstory. She (and her people) is quite the bonus-novella waiting to happen.There are a number of little nods here and there to hip (or nerdy, w00t!) parts of our culture, keeping the vibe current and demonstrating the author’s knowledge of fantasy and science fiction lore. And the narrative doesn’t shy away from gritty, visceral, even brutal styling. You pick up this book, you’re in for equal parts humor, gore, drama, and adventure. Everything about Generation V speaks to big, awesome plans in subsequent installments. If you’re a UF fan looking for something fresh–and if you’re a patient reader–I’d pick up this book for sure.. . .Verdict: A unique series starter with lots of heart and character. It’s something of a slow burner, but builds steadily and with purpose to a satisfying (and appetite whetting) conclusion. I’d throw this one on the To Be Read list, if I were you–this series has got lots of promise.